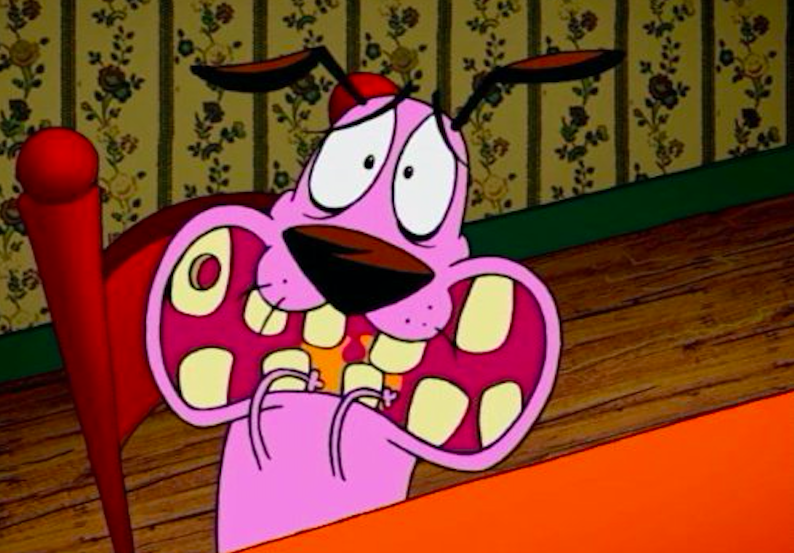 The last we saw of Courage the Cowardly Dog was way back in 2002. It was the year Michael Owen gave us a glimmer of hope against Brazil at the World Cup before David Seaman got lobbed by Ronaldinho; the year Queen Elizabeth celebrated her Golden Jubilee and Avril Lavigne burst onto the scene with the seminal Sk8er Boi. Mainly though, it marked the end of one of Cartoon Network’s most beloved shows. Following the trials and tribulations of a purple, anthropomorphic dog who lives with an old couple in remote chaos, it went on to become a millennial fan favourite despite only running from 1999 to 2002. Created by John R Dilworth, the show spanned four seasons and 52 episodes, but devoted viewers came away wanting more. Good thing, then, that he’s just come out announced he’s planning bringing the hound back to our screens. Taking to Facebook, Dilworth alerted fans of the show what he in store for the future. To all our Courage fans… I am deeply moved by the love for our show. I am grateful that our talented team was able to do some good in the world. I have promising news… We are expecting to begin development on a potential prequel to CCD titled “Before Courage” for Boomerang!. Stay tooned for more. Who knows what will happen (o= Continue to write Cn to keep broadcasting CCD. As you know we are awaiting CN decision to reboot Courage. This is imminent. Or not. Who knows. By the end of July we shall have a final cut of The Dirdy Birdy Redux. In celebration of the film’s 20 year Anniversary, I restored the original cut by adding one minute of never seen footage, a flash back to how Purdy learned to express his particular way of affection. The Redux will have it’s [sic] premiere at the Woodstock Film Festival in NY. Later this year we are planning a crowd funding initiative for a sequel to The Dirdy Birdy, titled “A Night at Club Sheik”. The short tells the story of Furgerina and Purdy going on a date to a dance club in the spirit of Tex Avery’s Wolfy cartoon romances. Cartoon Network and Boomerang have yet to respond to Dilworth’s comments.